There are some hives of scum and villainy where they don't serve 'their kind'. 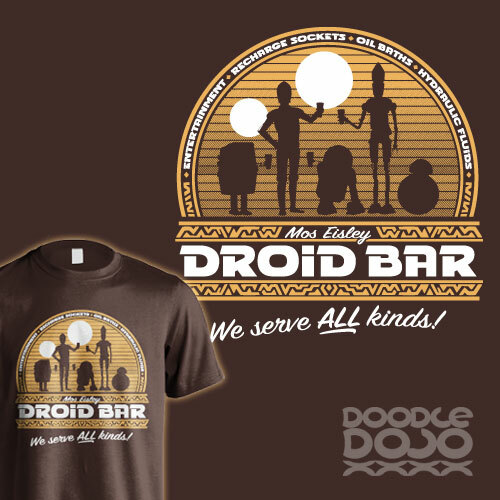 That's not how it is in the Mos Eisley Droid Bar, they extend a warm welcome to all kinds. Need a recharge? An oil bath? Maybe a top-up of hydraulic fluids? Or maybe you just need to power down for a while. It always bugged me that the droids weren't welcome in the cantina in Star Wars: A New Hope. So I thought up a place where they could go instead. I think it might be a slightly quieter, less dangerous place to visit..